Sorry for the necropost, but it's been almost 6 years now and quite likely a huge number of releases and I still can't see any lossless JPEG functions in Paint.Net. There's are a large (and growing) number of apps that can do various lossless JPEG transforms. There's even JpegJoin now to go along with JpegCrop and JpegTran. Isn't it way past time to add similar features to our favorite app as well, if not natively then at least as a plugin? Pretty please? What's wrong with .png format? Sorry for the necropost, but it's been almost 6 years now and quite likely a huge number of releases and I still can't see any lossless JPEG functions in Paint.Net. There's are a large (and growing) number of apps that can do various lossless JPEG transforms. There's even JpegJoin now to go along with JpegCrop and JpejTran. Isn't it way past time to add similar features to our favorite app as well, if not natively then at least as a plugin? Pretty please? You are importing from and exporting to jpeg. But you are not editing or manipulating existing jpegs. Paint.NET has only one document format and this is .pdn. Use Irfanview or simular applications to do the requested tasks. Umm, nothing? But if I have JPGs already, why should I convert them to PNG first to crop them or perform other operations which I know can be done without any loss of quality whatsoever? I'm a bit confused by you stating that I'm "not editing or manipulating existing jpegs". 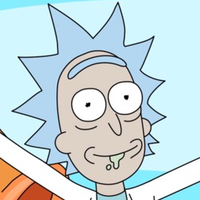 If I'm getting you right (in combination with Rick's post above), what you're saying is that on opening a JPG it is automatically being converted in the background to another format, and thus after editing it needs to be re-saved? But if we have lossless JPEG support built-in, it would simply skip that BG conversion bit on opening JPGs and perform all transformations losslessly, right? Of course, if non-lossless operations are carried out then the JPG will need to be re-saved with attendant quality loss, but if only lossless operations are carried out then there need be no loss at all. I'm not a programmer, so what's the problem here? Is there some basic technical issue preventing such a feature from ever being implemented, or is it just a case of "it's possible, but not right away"? Please note that I'm not demanding someone should start working on this right now, but it would be nice to have it at least acknowledged and considered for a forthcoming version. As for alternatives, I mentioned some names above of apps I'm already using. I posted here because I would prefer to do all the work in Paint.Net itself instead of switching over to something else. Since some reasonable discussion went on afterward, I've split this out into its own topic. In the future just create a new topic and provide a link to the old one. I'm not a programmer, so what's the problem here? There isn't a problem per se, it's just not something that's really feasible with 1) the current way Paint.NET is designed, and 2) the amount of time available for implementing any feature. You have to remember there's about a 1,000 year long feature request backlog. This feature is not even close to the top of that list, especially when there are "good enough" workarounds. Please note that I'm not demanding someone should start working on this right now, but it would be nice to have it at least acknowledged and considered for a forthcoming version. Sorry, but this is not something I'm considering for a future release of Paint.NET. There's no moral objection to it at all, it's just not going to ever win in a priority fight between other features, and I don't want to get your hopes up. Apologies, won't happen again. I'm just used to various other fora that clearly state that new topics are to be created only if existing open topics about the same subject don't already exist, no matter how old. Anything else is considered littering the forum, but I see that the rules here differ and will be careful in future to follow the same. Thank you, a confirmation one way or another is all I was looking for (and who knows, maybe one day in a galaxy far, far away... ). I will use the existing lossless JPEG transform apps for this purpose and Paint.Net for everything else. That's the case. This means if you are saving a just loaded jpeg this is not a lossless operation. Check Wikipedia for the transformation between RGB pixels and jpeg data. This conversion is one of the reasons why GIMP will no longer allow to save as jpeg (or other image formats) in the next version. You always have to export. I would prefer that Paint.NET 4.0 would do the same step and clearly distinguish between the doc format and all the image formats. Anyhow, convert to .png files if you want lossless images. If you are already opening the file in paint.net, you might as well make the change too. It's really only an extra click or two. it's just not going to ever win in a priority fight between other features, and I don't want to get your hopes up. So what new features will make it into 4.0 (most likely)? So what's the state nowadays? Is lossless JPEG editing still not possible?